The brushstroke was one of his frequent motifs. 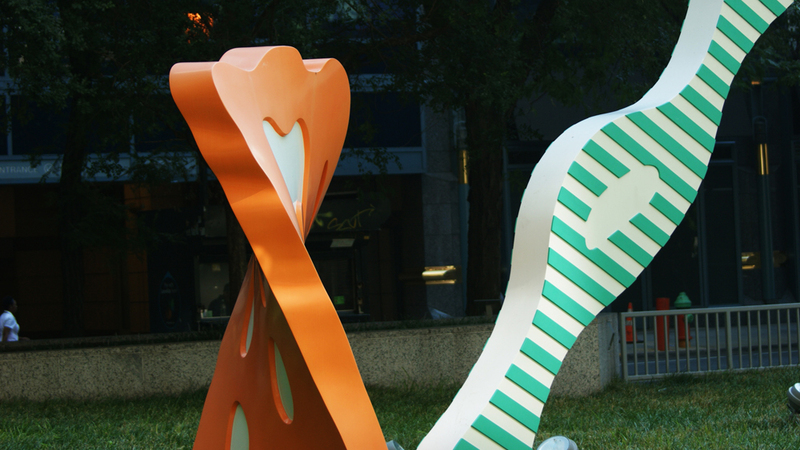 Roy Lichtenstein’s Brushstroke Group was brought to United Plaza courtesy of Duane Morris LLP, one of the city’s largest law firms, which occupies the adjacent building. 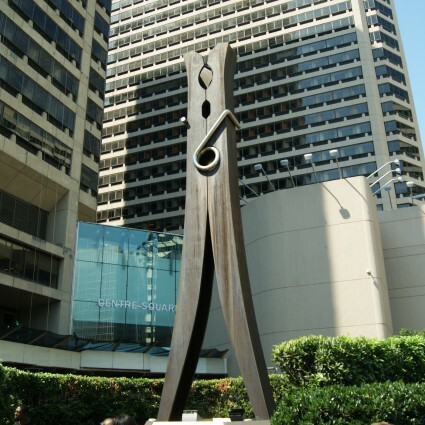 In an unusual arrangement, the sculpture is on loan to Duane Morris from the Roy Lichtenstein Foundation. 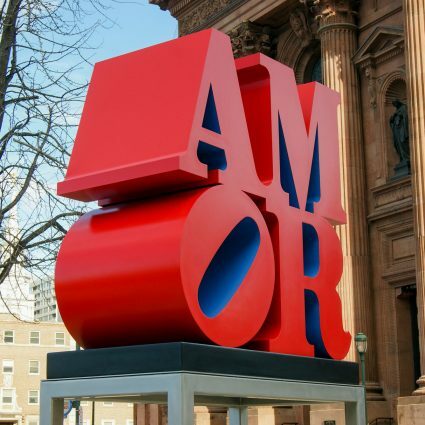 The Philadelphia Museum of Art and the Fairmount Park Art Association (now the Association for Public Art) worked with the law firm and the Foundation to bring the sculpture to the city. Roy Lichtenstein was a pioneering pop artist whose work was influenced by popular advertising and comic book images. The brushstroke was one of his frequent motifs. 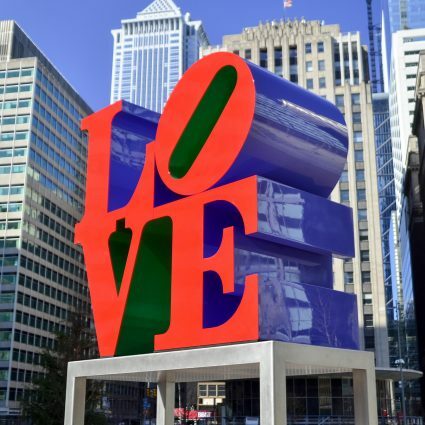 The sculpture rises 29 feet high, and it is constructed of half-inch aluminum plate finished with a special durable paint used in the airline industry. 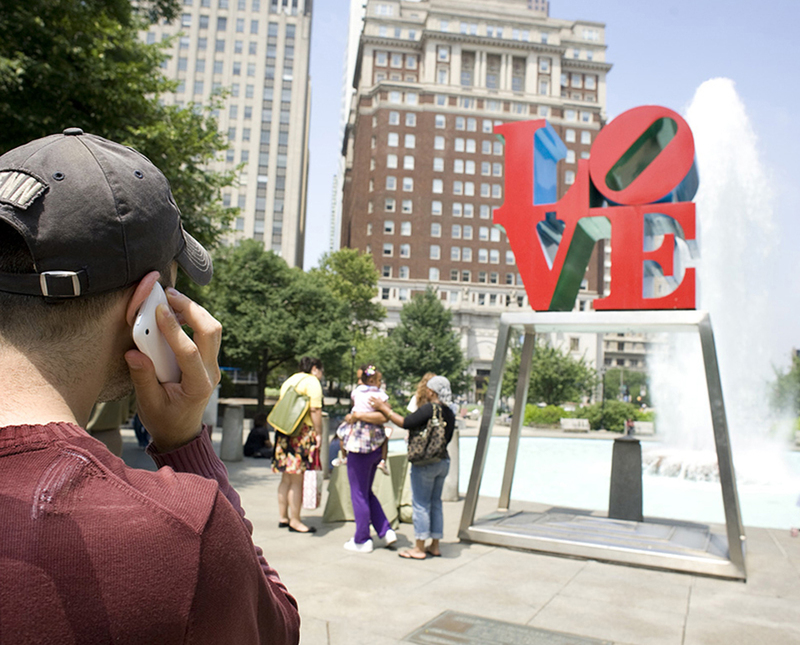 The Brushstroke Group is an exuberant addition to Philadelphia’s “museum without walls” and joins center city’s other spirited pop-art icons – Robert Indiana’s LOVE and Claus Oldenburg’s Clothespin. Dorothy Lichtenstein is the widow of the artist, Roy Lichtenstein, and President of the Roy Lichtenstein Foundation. She has been active in the New York contemporary art scene since the early 1960s. She married Roy Lichtenstein in 1968. Jack Cowart is the Executive Director of the Roy Lichtenstein Foundation. Cowart is a widely published and recognized authority on Roy Lichtenstein and Henri Matisse, as well as other 20th-century modern and contemporary artists. Ruth Fine serves on the Board of the Roy Lichtenstein Foundation and is a former curator at the National Gallery of Art. She was the curator of the 1994 exhibition “The Prints of Roy Lichtenstein”, and produced the accompanying catalogue raisonné. This audio was kindly supported by Duane Morris LLP.